Senate President Pro Tem Martin Looney, D-New Haven. Photo: Catherine Avalone / Journal Register Co.
HARTFORD — Several Democratic lawmakers have filed bills to ban “gay and transgender panic” as a criminal defense. 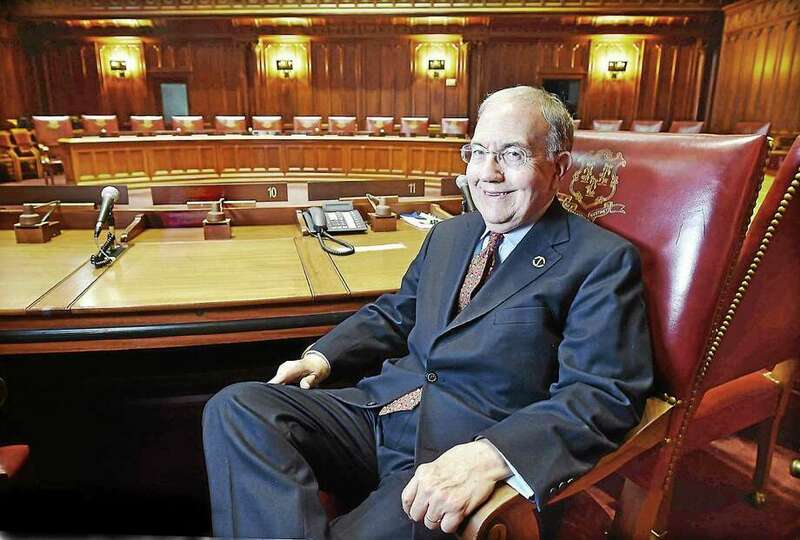 Senate President Pro Tempore Martin Looney, D-New Haven, introduced this legislation, as did Rep. Raghib Allie-Brennan, D-Bethel, and Rep. Jeff Currey, D-East Hartford. Allie-Brennan and Currey are the General Assembly’s only openly gay lawmakers. Looney, an attorney who practices criminal law, wants state statutes to be amended so a criminal defendant may not claim the “shock” of learning that a person was gay or transgender to justify or excuse the violence perpetrated against that person. California was the first to ban the defense in 2014, followed by Illinois. Looney said Thursday he was unaware of the number of occasions the defense has been used in Connecticut. The bill will be considered by the legislature’s Judiciary Committee. Similar legislation has been discussed in other states. LGBTQ individuals have seen increased protections and rights in Connecticut in recent years. Former Gov. Dannel P. Malloy signed legislation banning conversion therapy for LGBTQ individuals in 2017. Editor’s note: An earlier version of this story incorrectly stated that Malloy signed legislation in 2017 banning discrimination on the basis of gender identity and expression. In 2017, Malloy signed a bill banning conversion therapy.